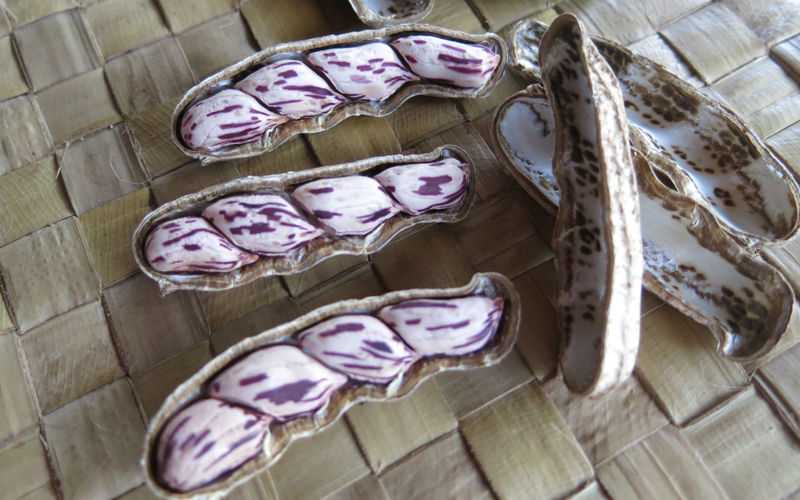 In addition to their distinctive reddish-purple stripes, these striped peanuts (also known as ‘wild jungle peanuts’) have a richer flavor than ordinary peanuts, with a unique buttery texture. 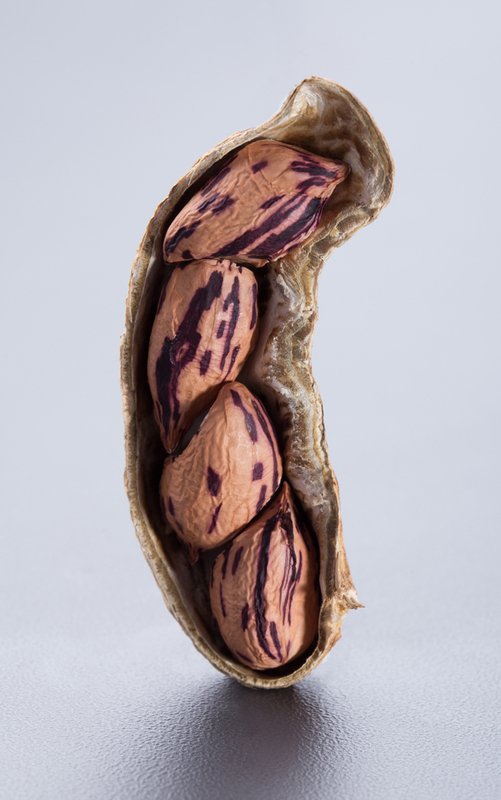 As peanuts, they are rich in essential amino acids, protein, monounsaturated fats and vitamin E, but unlike most mass-produced peanuts, the wild peanuts are free of aflatoxin (a natural toxin produced by fungi that contaminate many mass-cultivated grains and crops). 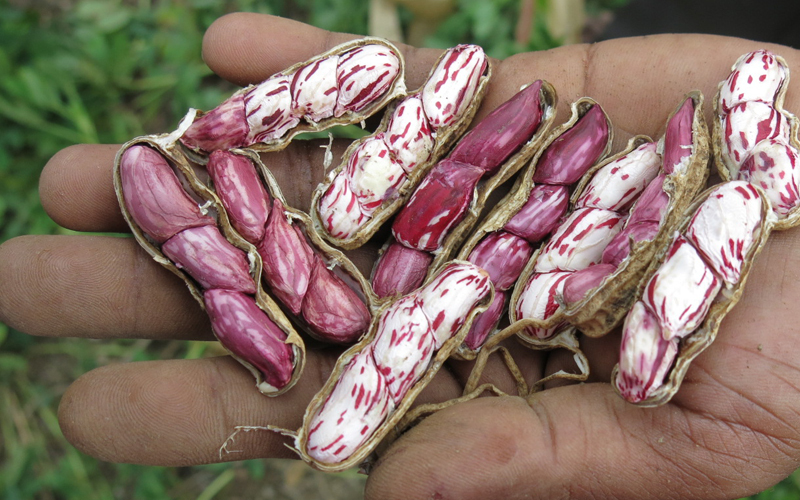 In Indonesia these wild peanuts were first discovered in Java, but the lack of pristine arable land on this island (Indonesia’s most densely populated) drove us to establish our striped peanut farms in eastern Indonesia. 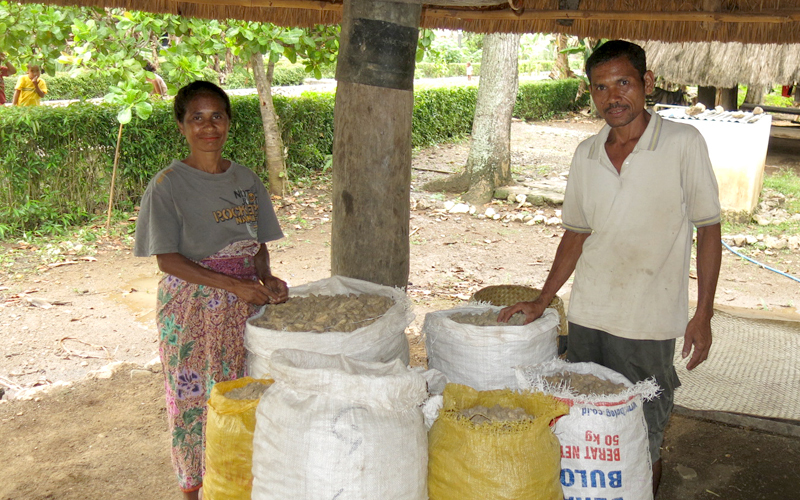 Because of suitable soil conditions, farmers in the islands of East Nusa Tenggara province have been commercially cultivating peanuts since 2006. 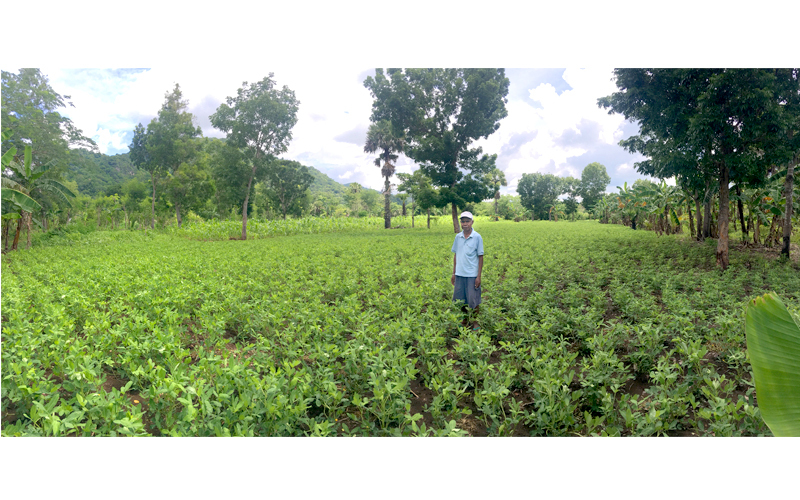 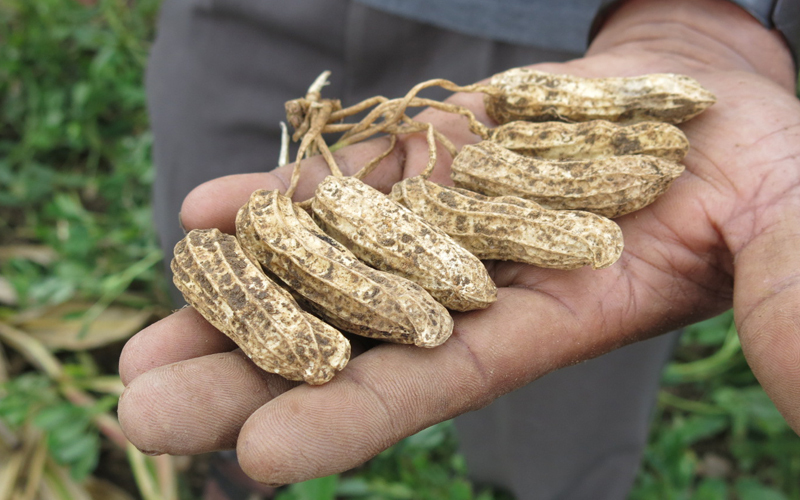 In 2013, PMA introduced striped-peanuts to these farmers and also trained them in organic farming methods.